You film it. We edit it. Arm yourself with our latest HD cameras, go wild with your mates and film your big day, weekend away, or extreme action adventure. We'll edit your footage together to create an epic Highlight video. Having your friends and family behind our simple and fun to use cameras make for a much more relaxed atmosphere that allows them to capture all those magical moments and behind the scenes gems that otherwise would have been missed. We collect the cameras and professionally edit the footage and return to you, giving you a unique and personable video keepsake of your special day that everyone will want to watch. We courier our HD Cams to your front door, on time, ready for action. Let your friends, party guests or one of our accessories film your event. We get the cameras back, work our magic and send you an epic Highlight video ready for sharing. Our most popular package. Customise your video to reflect you. Choose your favourite song and favourite scenes! 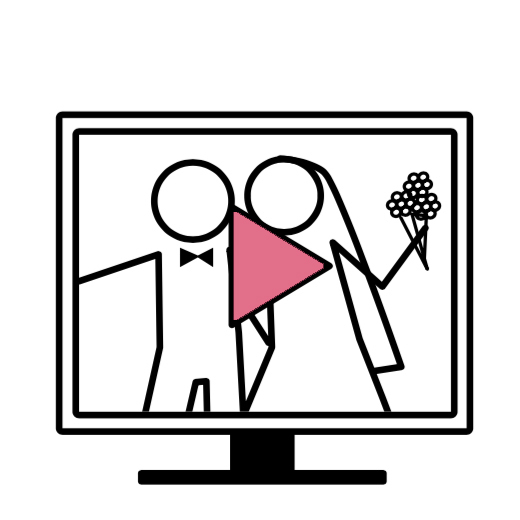 Every time we watch it, our wedding highlight video brings a smile and a tear to both of our faces. Our wedding day is relived again; and entirely from our friends’ perspectives. The footage was carefully edited and was beautifully balanced to comprise of the special, more official ceremonial content as well as hilarious cameos by our guests; encapsulating the essence of our special day. Throughout the process, we received clear and prompt communication from Highlight. We respect your privacy and don't spam. Say hello with the contact form below and we'll get back to you within 24 hours..